I learned these were obsolete watching a television program “Market Warriors”. One of the dealers finds some spoons and declares that while very cute, no one uses these anymore, so they’re not worth buying. Part of me does yearn to live in Poirot’s world, taking the time for a delicate cup of coffee served in wee cups with little spoons. But clearly the tarnish on these beauties would indicate the effort is not being made to manifest such a reality. Luckily they keep on producing such shows to have the experience vicariously. WP informs me that demitasse spoons were (hopefully in the past tense) also used for medical purposes “”A demitasse spoon is useful instrument to retain and protect the peritoneum during suturing”. Status: Calculate how much toothpaste would be needed to polish these up first. Then serve coffee at a Poirot fan party. Or perhaps serve enough wine so no one notices the tarnish. Alt-title: Untitled Object No. 354 For Stirring Up A Languid Moment. I use similar, but not quite as fancy. I don’t trust new spoons. I never thought about trusting spoons. Now I will pay attention. 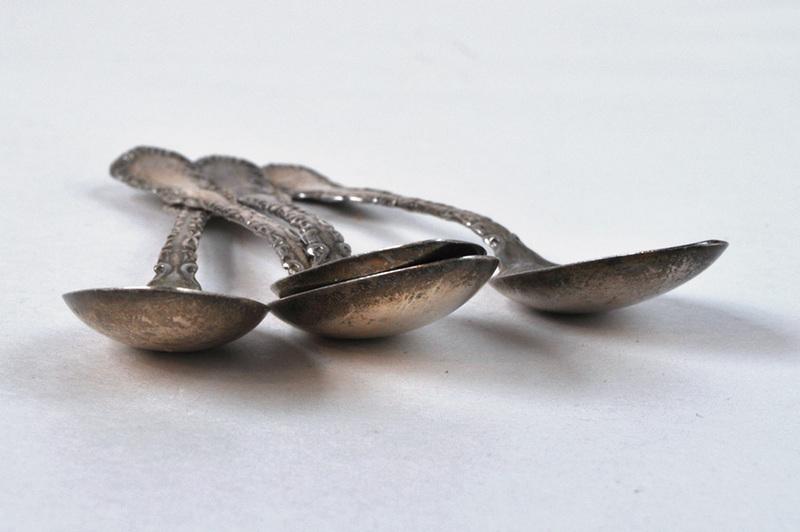 New spoons are shiny, and smooth, and perfect… And they tarnish. Where does all that metal go? 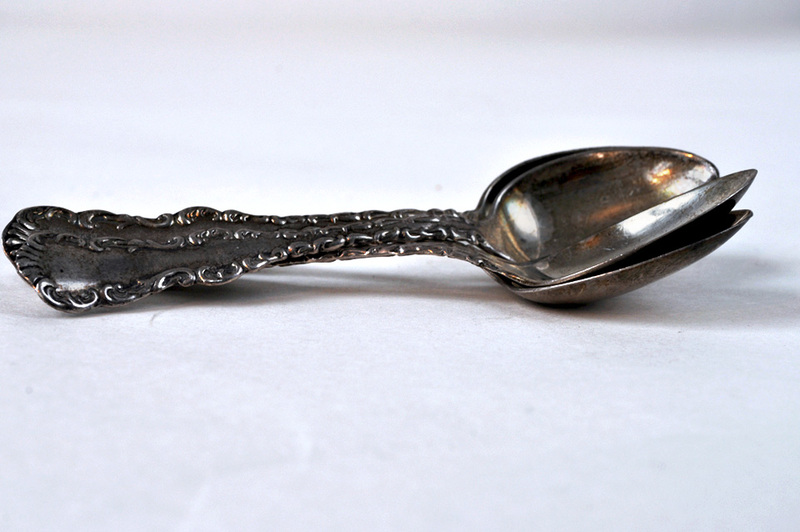 Ever since there was a link between Aluminium and Alzheimer’s Disease I’ve been wary of new spoons.